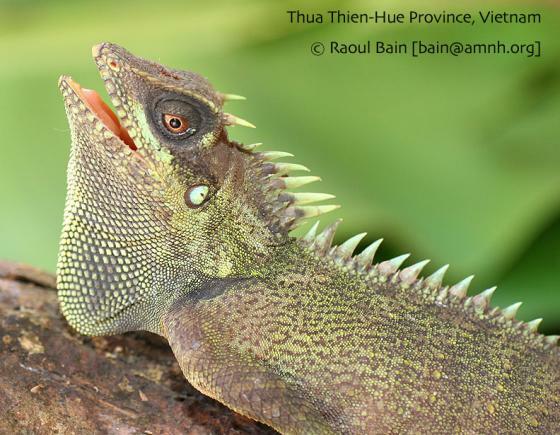 Can you confirm these amateur observations of Acanthosaura nataliae? Type locality: Tram Lap Village, 40 km northwest of Kannack Town, An Khe District, Gia Lai Province, Vietnam, 14°26’39’’ N, 108°32’97’’ E, 900 m elevation, Truong Son (Annamite) Mountains. Types Holotype: ZISP 23430, adult male, May 1995, coll. Nikolai L. Orlov. Diagnosis Diagnosis: A. nataliae is distinguished from A. armata, A. coronata, A. crucigera, and A. lepidogaster by lacking a spine on the occiput between the tympanum and nuchal crest. 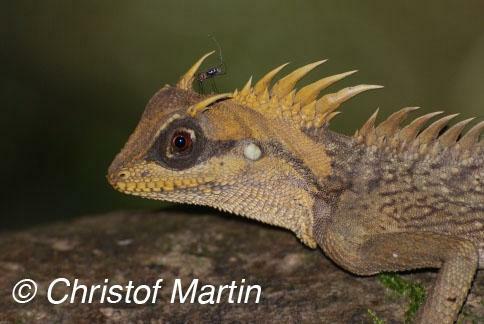 The new species differs from coronata and lepidogaster by having a large crest and from armata, crucigera, and lepidogaster by lacking a dark marking on the nape. It most closely resembles A. capra, but differs from it by having large keeled scales intermixed with small scales on the lateral and dorsal surface of body (scales relatively uniform in capra). Strong difference in. 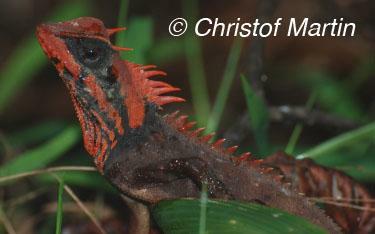 coloration in live of adult males and females of compared specie's of genus Acanthosaura are described. Comment Specimens of this species have been previously considered as A. capra. Distribution: see map in Bobrov 2015. 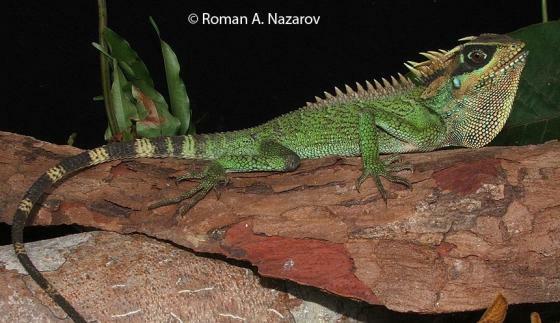 Etymology The specific epithet is a matronym for Natalia Ananjeva (Zoological Institute, Russian Academy of Sciences, St. Petersburg, Russia) in recognition of her many contributions to the study of agamid lizards. Orlov, Nikolai L., Quang Truong Nguyen and Van Sang Nguyen 2006. 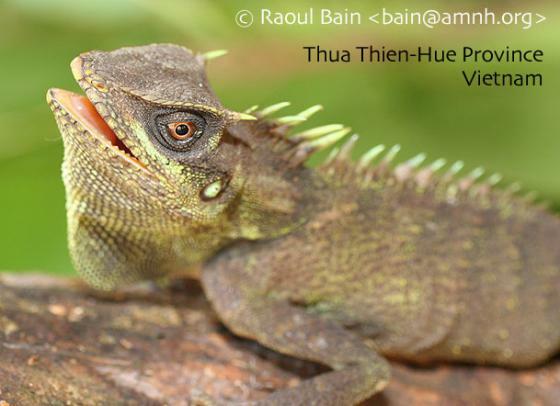 A new Acanthosaura allied to A. capra Günther, 1861 (Agamidae, Sauria) from central Vietnam and southern Laos. Russ. J. Herpetol. 13 (1):61-76.